This paper reviews a various methods exploring the topic of unmanned aerial vehicles (UAV) autonomous precision landing, covering two types of commercial UAVs, multi-rotor and fixed-wing UAVs. Four general methods gain the most eminence for the autonomous precision landing, which generally known as visual processing landing, satellite navigations landing, ground station navigation landing, and arrestor recovery landing. The assessment of the landing accuracies of each method are assessed and compared, if the results are being made available in the reviewed research articles. We also discussed the recent breakthroughs in sensors, processor, and flight technologies that can further improve the accuracy of UAV autonomous precision landing. 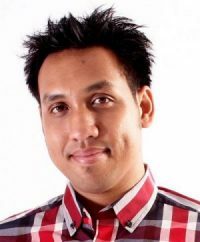 Nik Izwan Kamel is an Entrepreneur who venture in multiple businesses in different industries including IT, Blockchain, E-Commerce, Security, Retail and F&B. A cryptocurrency enthusiast and cooking computer codes at night.